We are bringing a huge outdoor vegan market to St Albans in April! 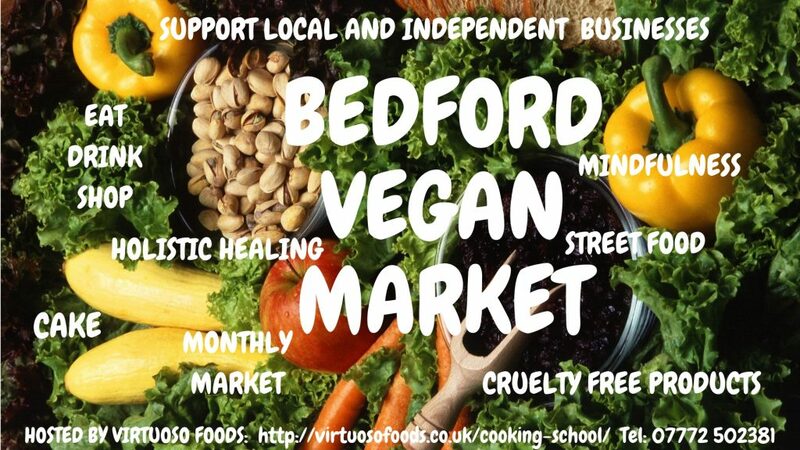 The market will be packed with stalls selling a huge variety of vegan products from great local businesses. Find a whole host of mouth-watering food stalls, eye-opening lifestyle brands, luxury cosmetics, ethical clothing, interesting charities and much more. The market will be held on St Peter’s Street, AL1 3LH (the large area outside the Museum and Gallery where the farmer’s market is held) right in the centre of St Albans. The market will open up to the public from 10:30 on Sunday 7th April and will close at 4pm. If you would like to trade please head to www.veganmarkets.co.uk/st-albans-traders for all the details. St Albans Vegan Market is organised by Vegan Markets UK. Take a look at our other markets at www.veganmarkets.co.uk.